Wow, a nice wallpaper! 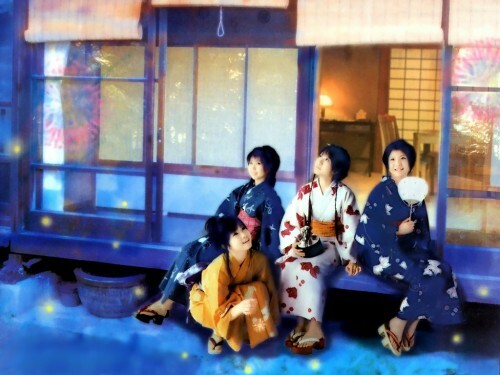 I really like the background, and the Kimonos that they are wearing are really nice too! this is really nice image of them! I like this one a lot. Nice job for picking this particular image to make into a wall! Wooooooooow!!!!!! @@@ Back groud is very beautiful . it good effect . I like this wallpaper . I like the idea! It's cool ^_^. And the background... The japanese house, it's beautiful, I love them xD. This wallpaper looks great. I really love the series. Keep up the good work.